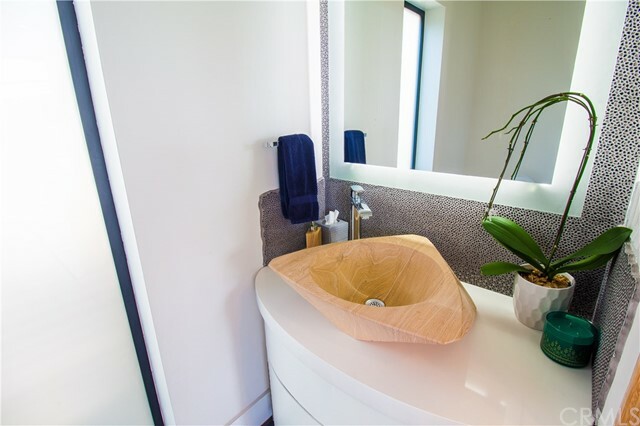 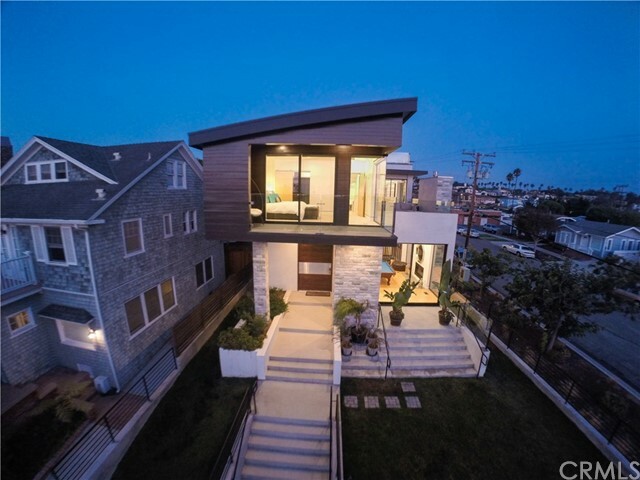 Luxury is an understatement when you embrace this contemporary home. 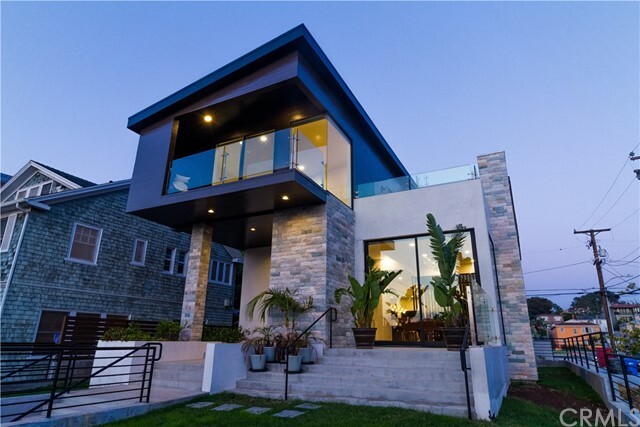 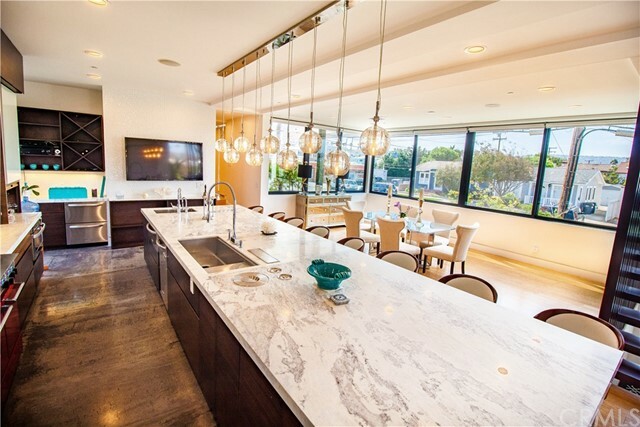 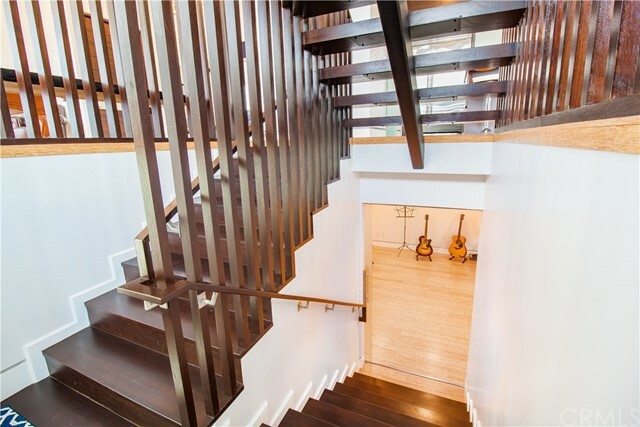 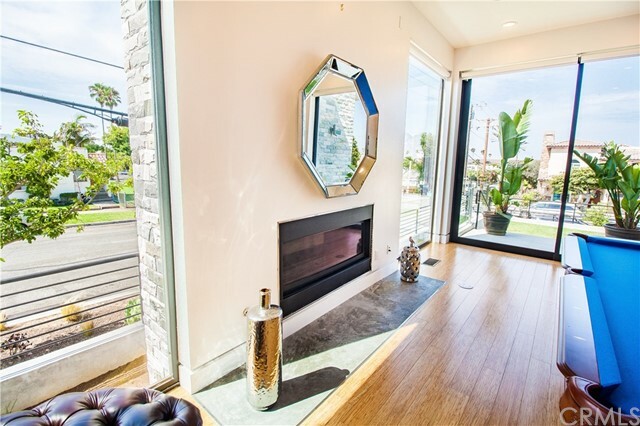 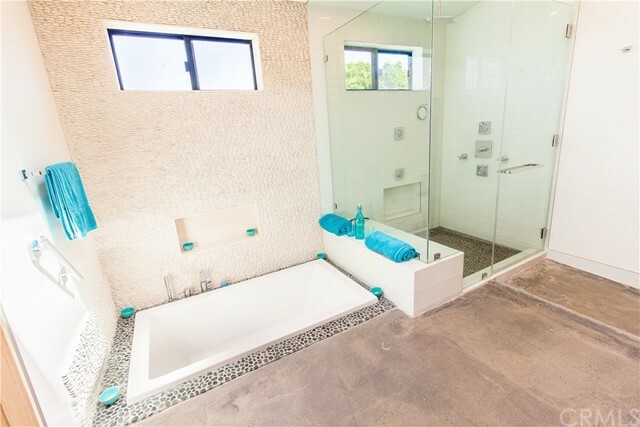 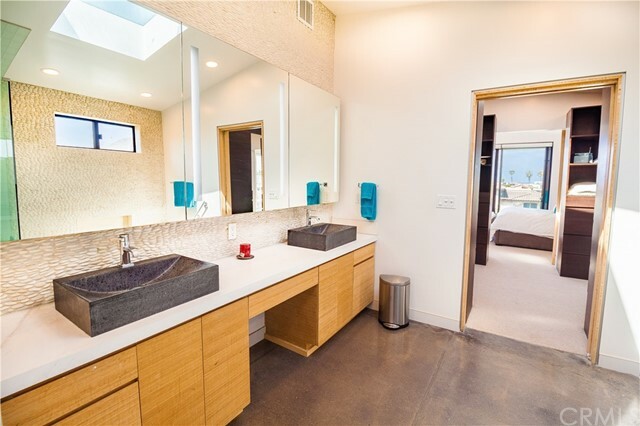 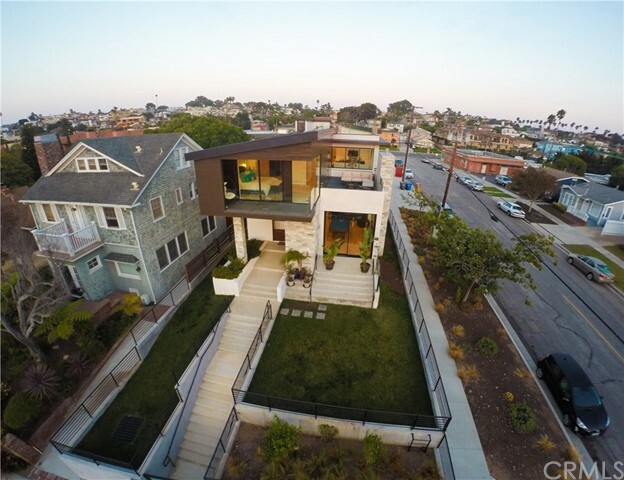 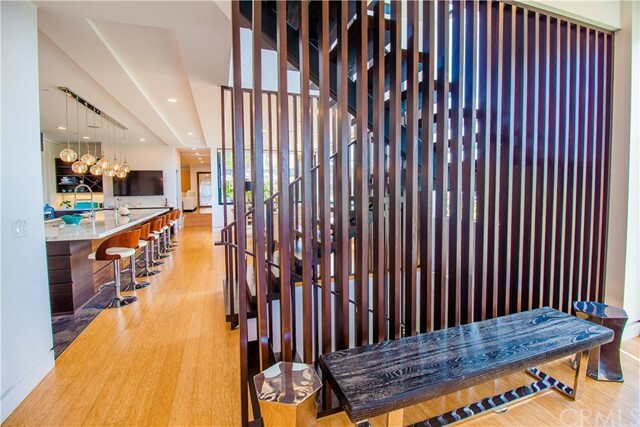 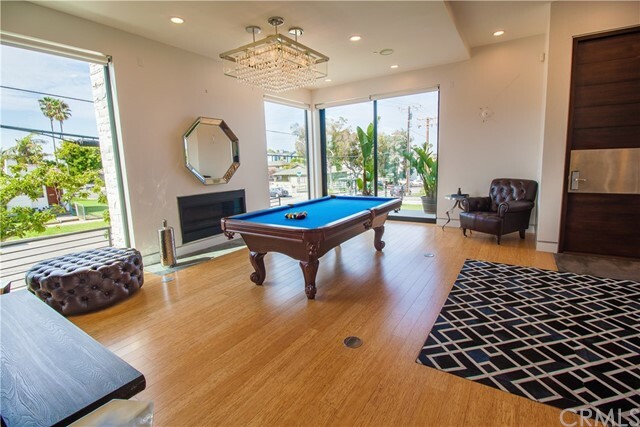 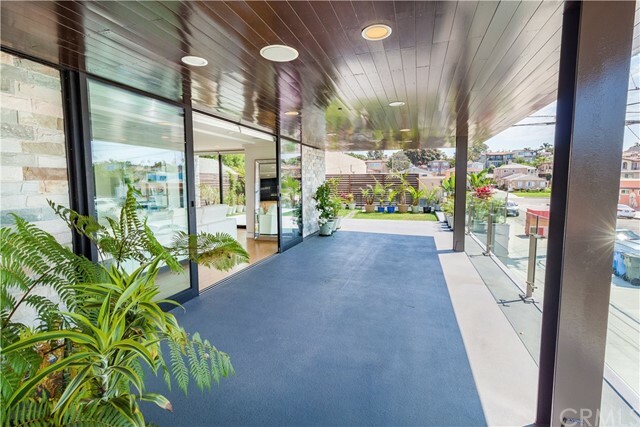 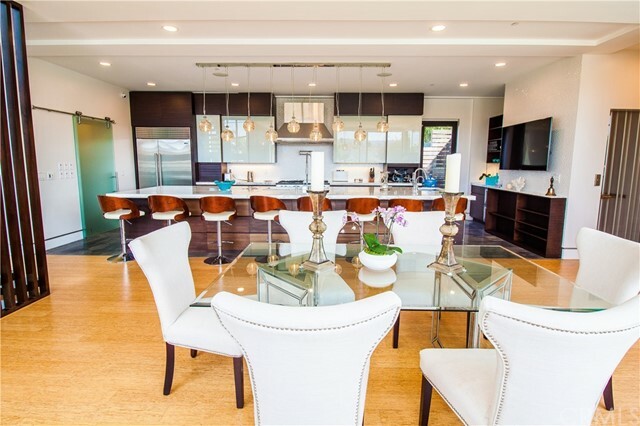 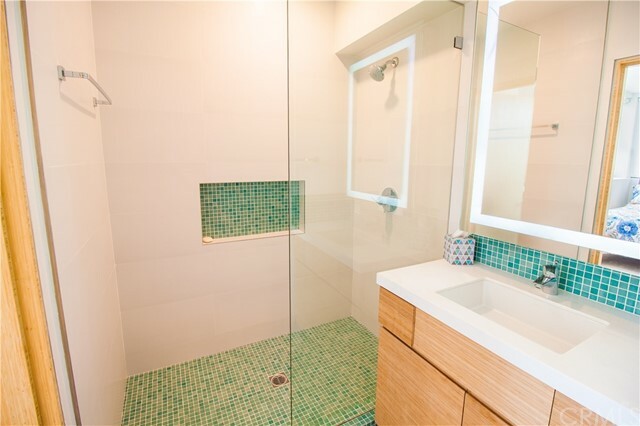 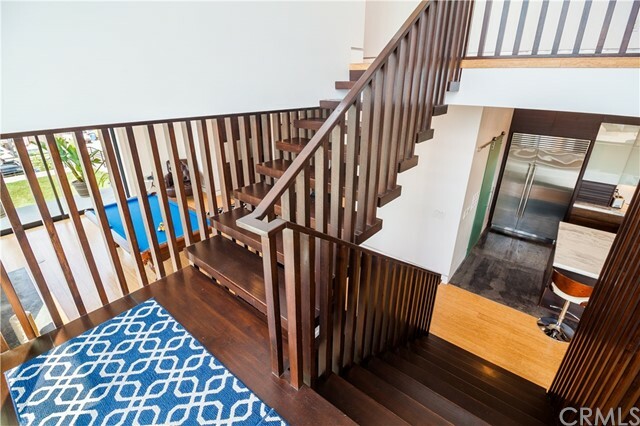 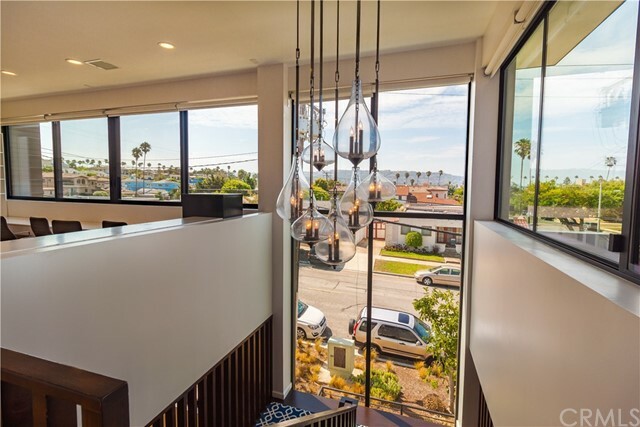 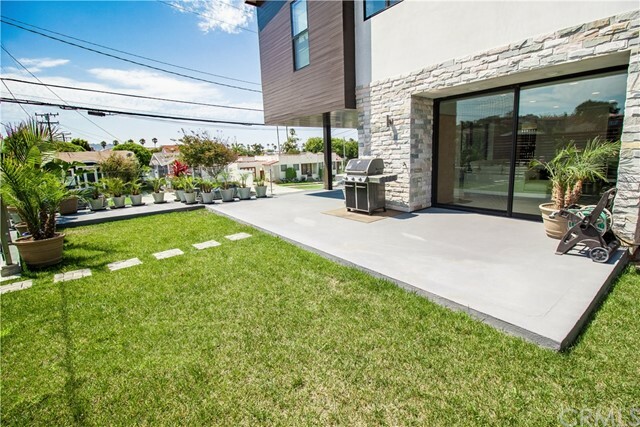 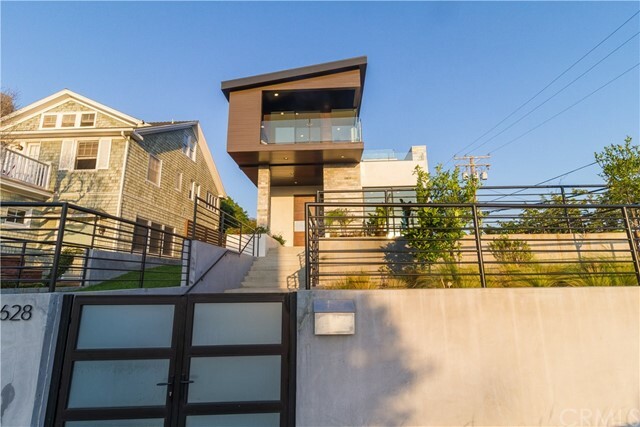 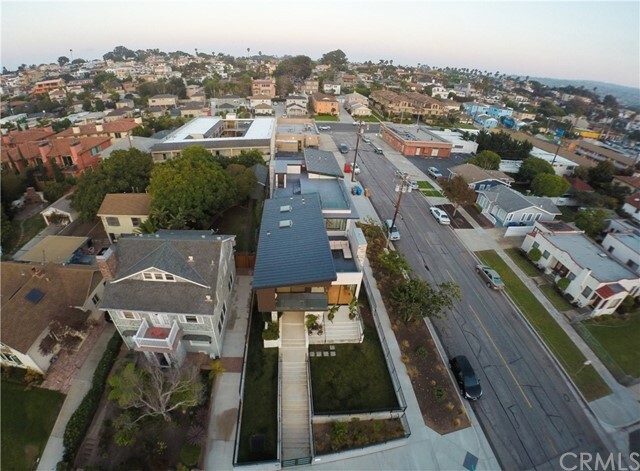 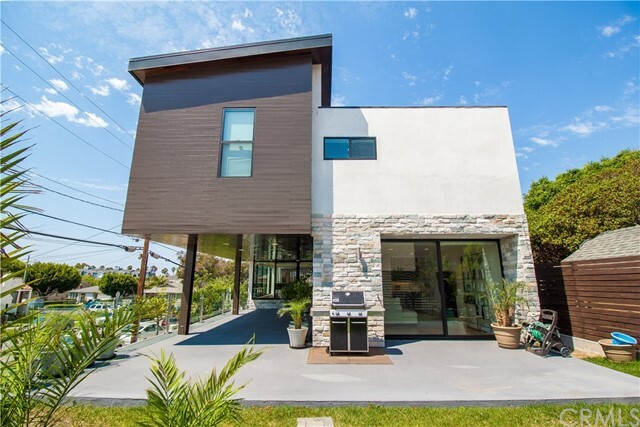 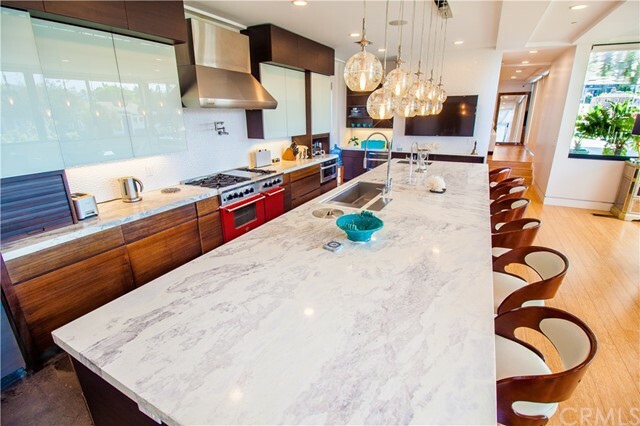 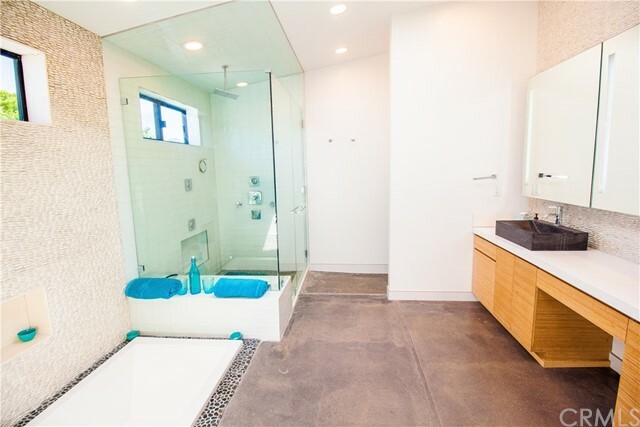 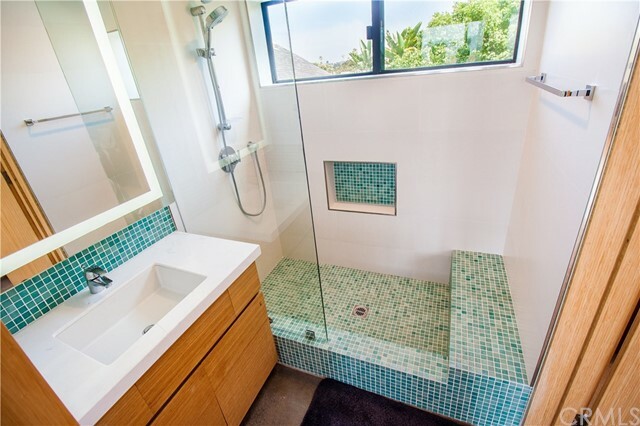 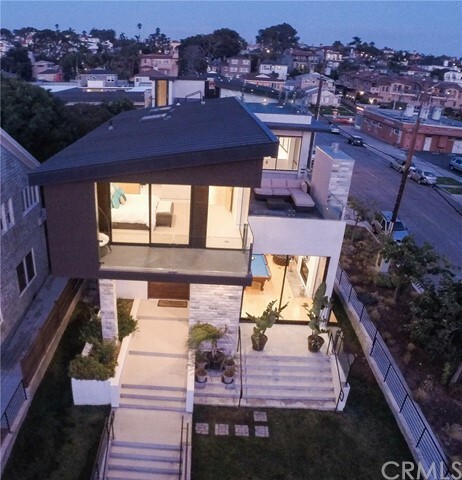 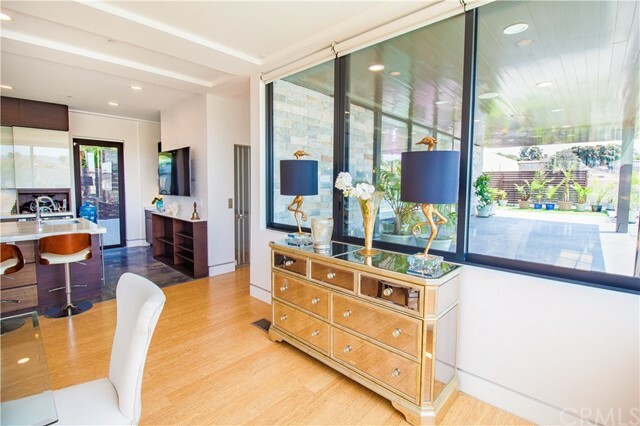 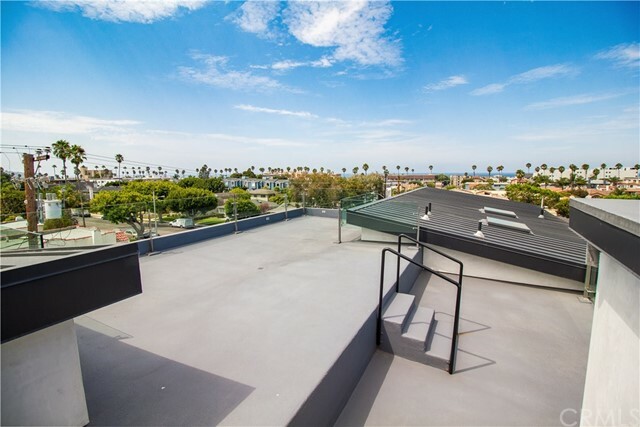 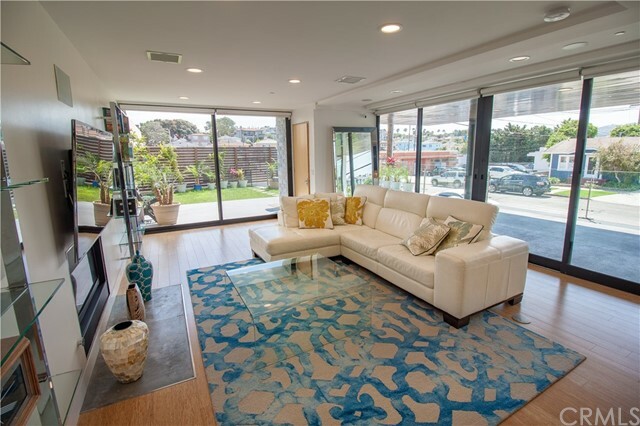 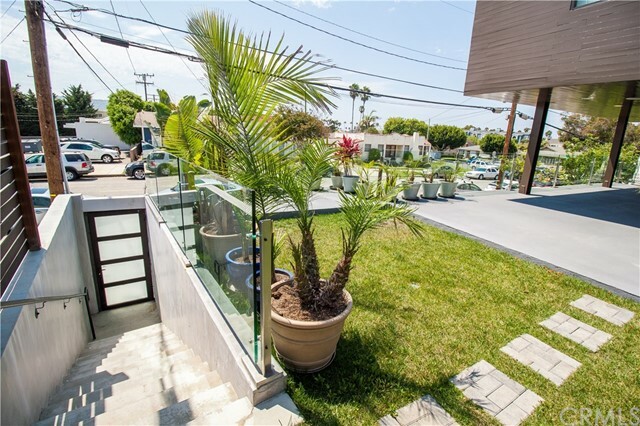 Located West of PCH and a few blocks from the beach, this jaw dropping trophy home raises the bar on curb appeal. 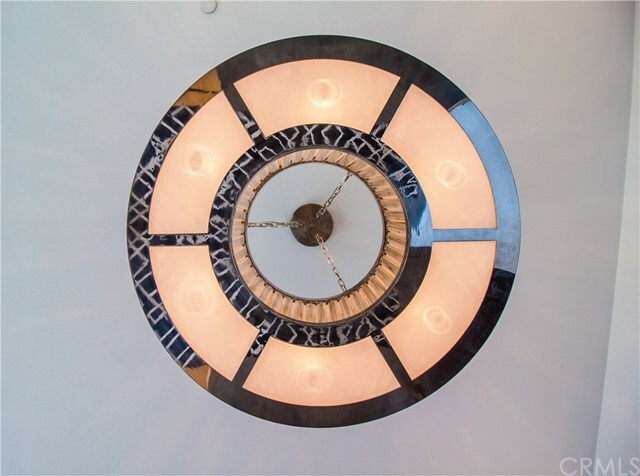 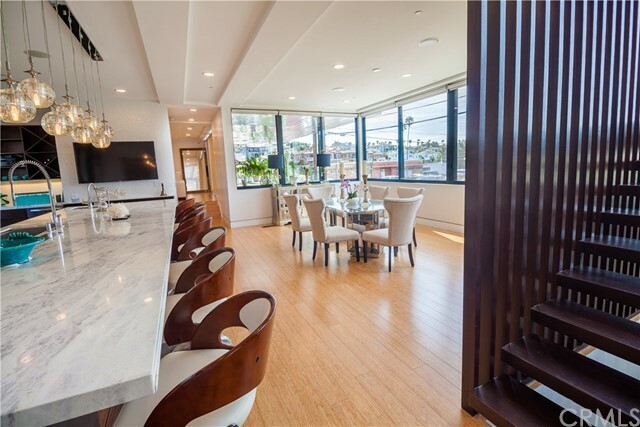 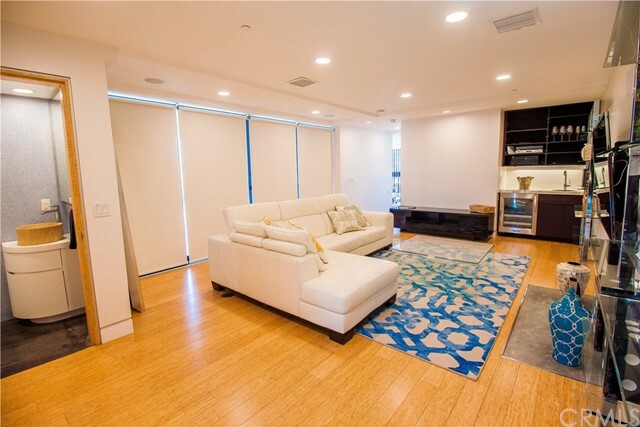 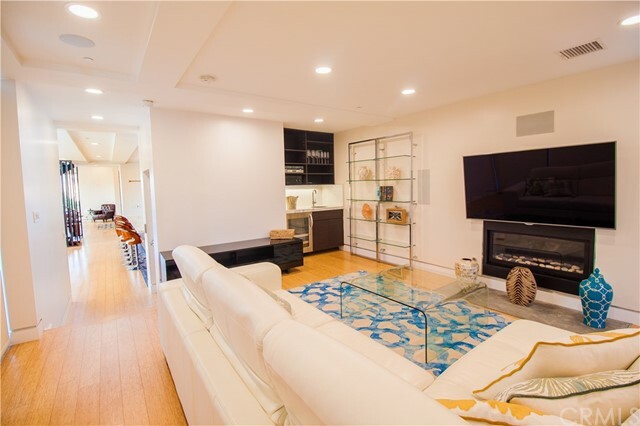 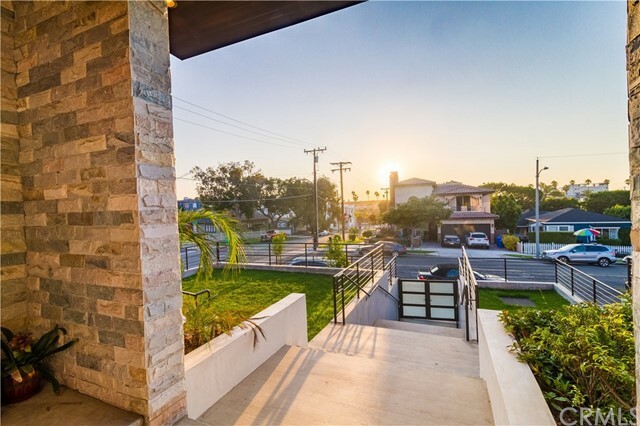 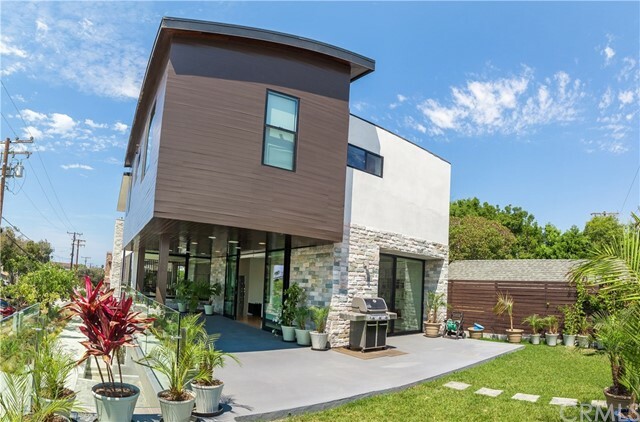 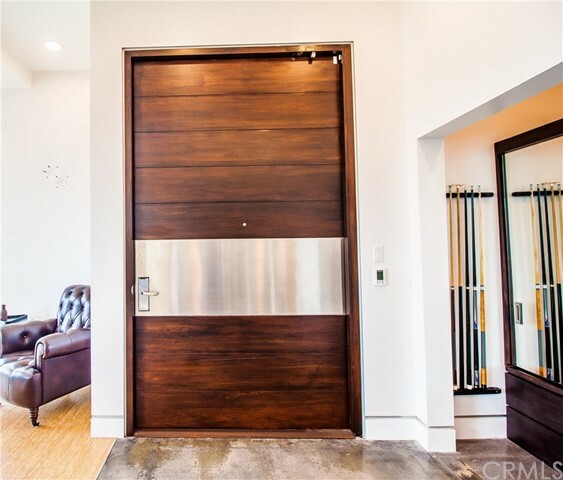 Three stories high, this home feeds indulgences such as, a roof top deck with 360 views, authentic 17 ft quartz island, an elevator, built in sound system, motorized roman-shades, a 3-car garage and massive windows for an elegant feel. 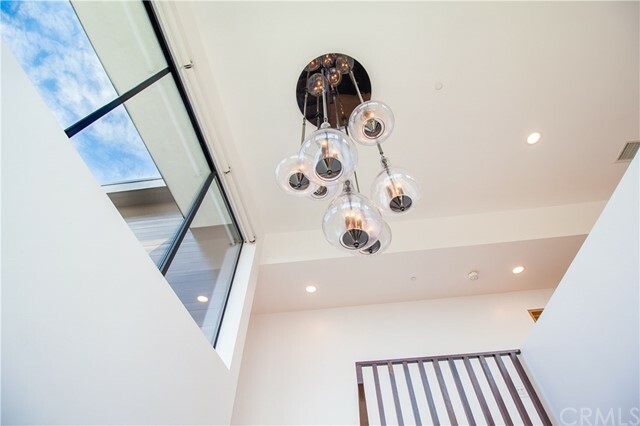 The front family room includes fine details such as Swarovski crystal chandeliers. 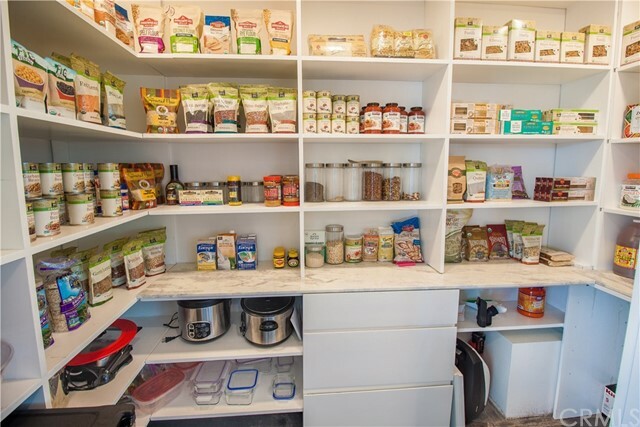 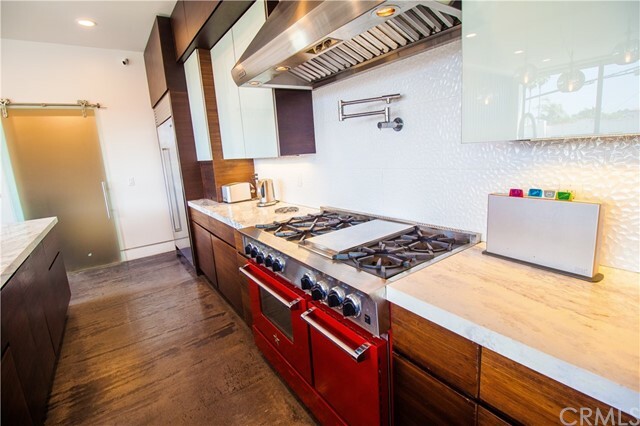 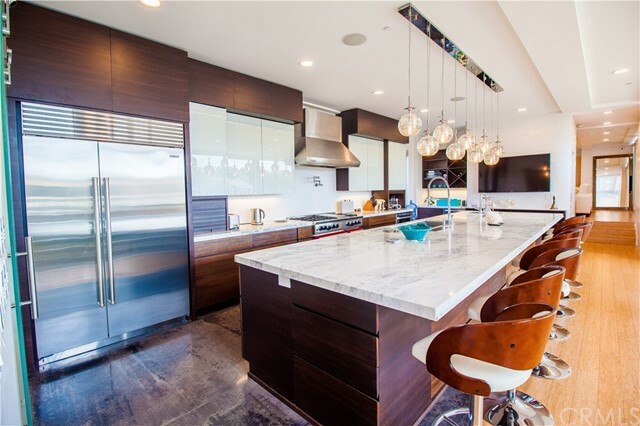 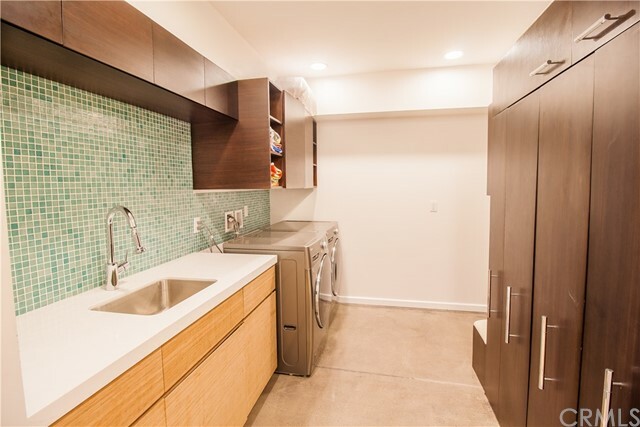 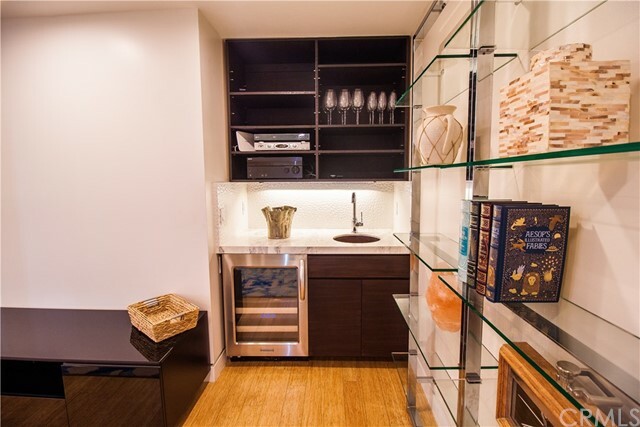 The chef’s kitchen is equipped with a subzero freezer, ample glass cabinet space, and high-end appliances. 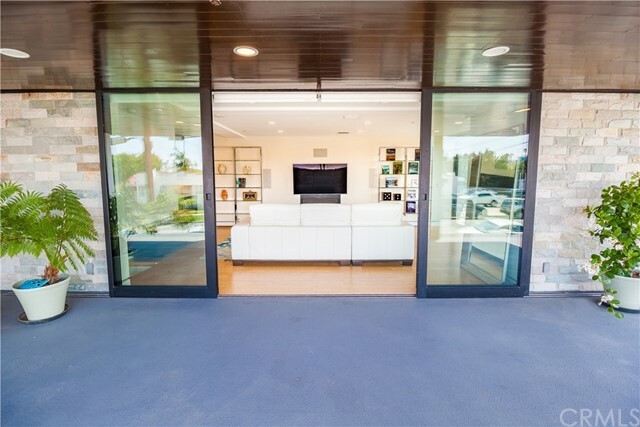 Continue through to the rear-family room with its built-in bar and sound system - the makings of a perfect night in with a movie. 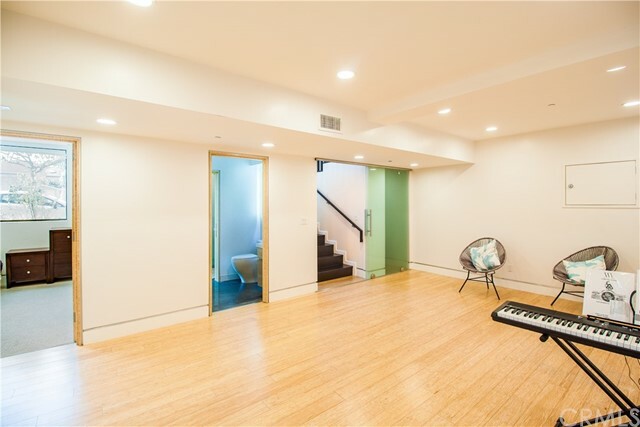 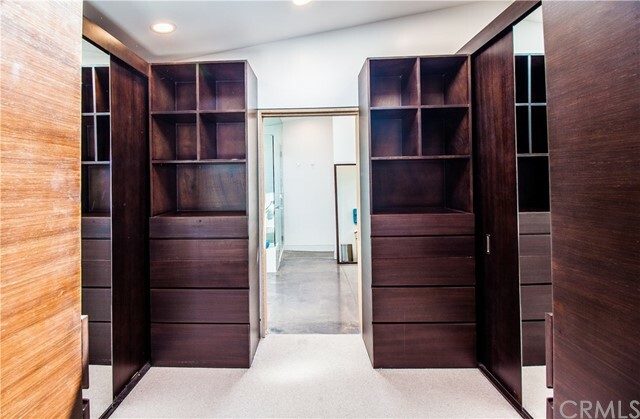 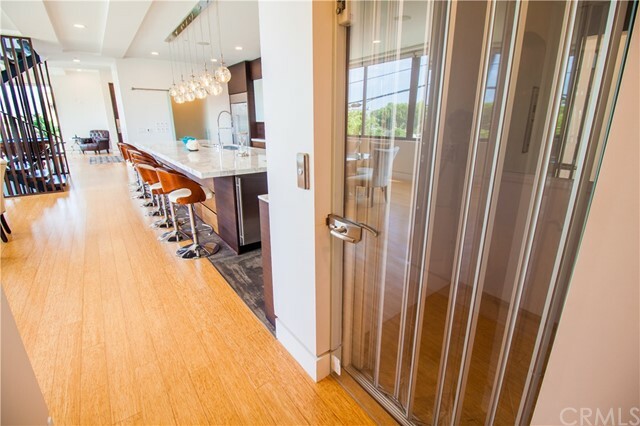 Folding doors open this room into the back yard where summer BBQs and memories can be made. 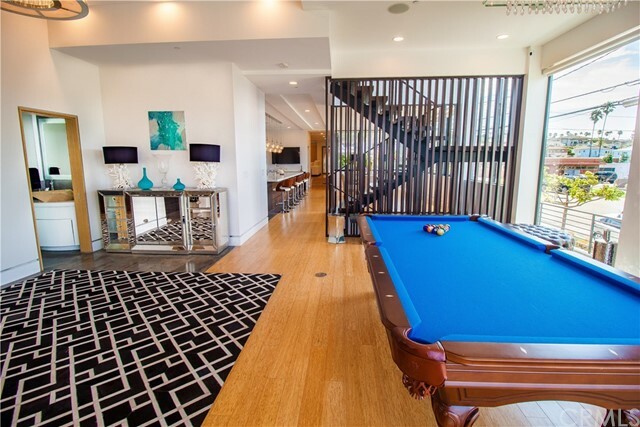 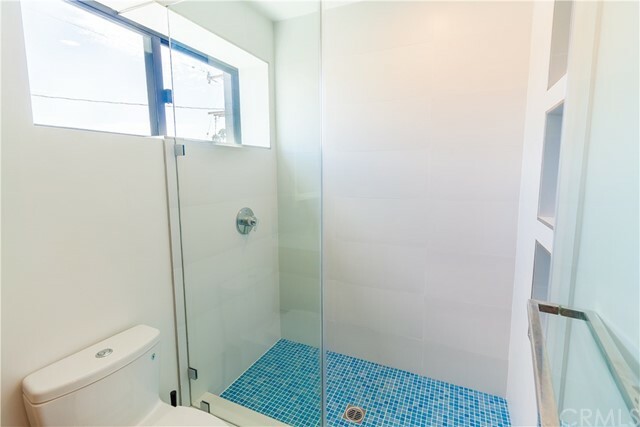 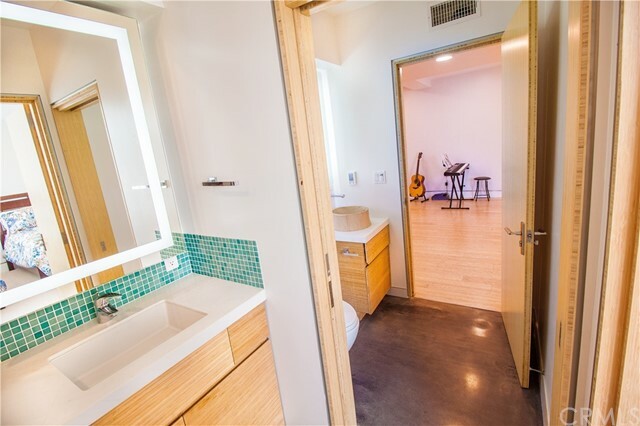 The lowest level has an additional master and room for a gym or game room. 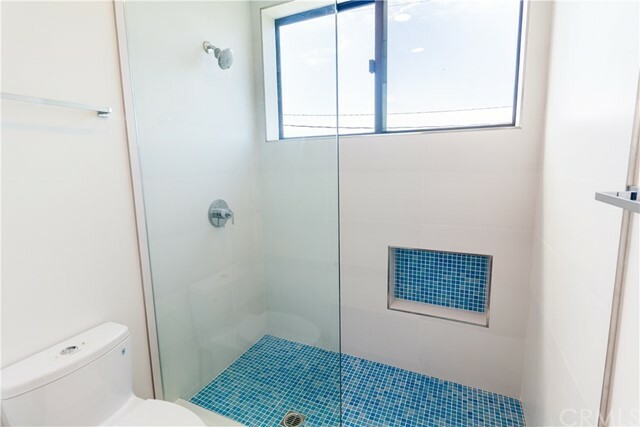 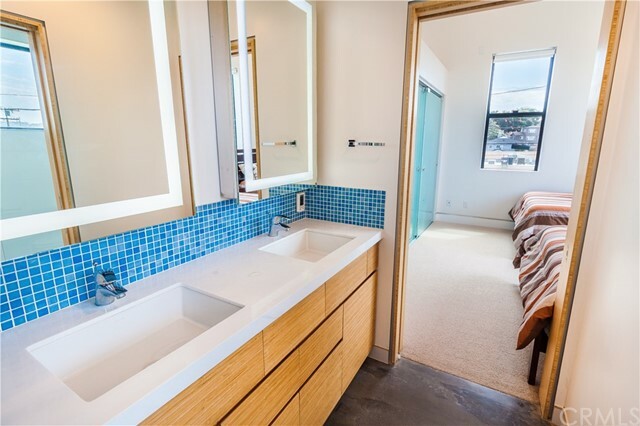 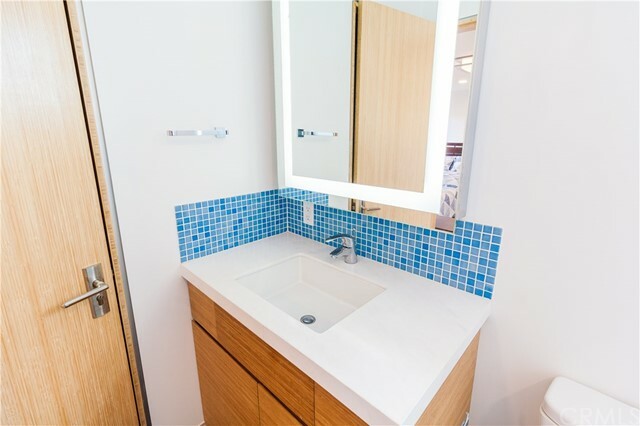 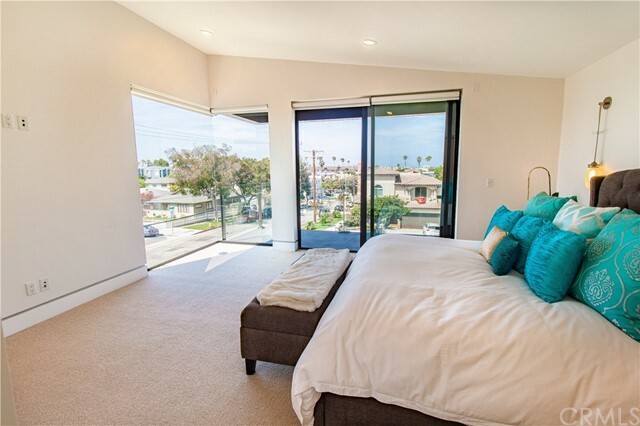 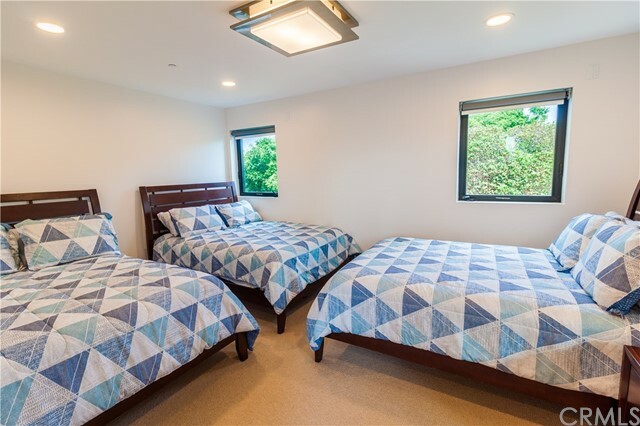 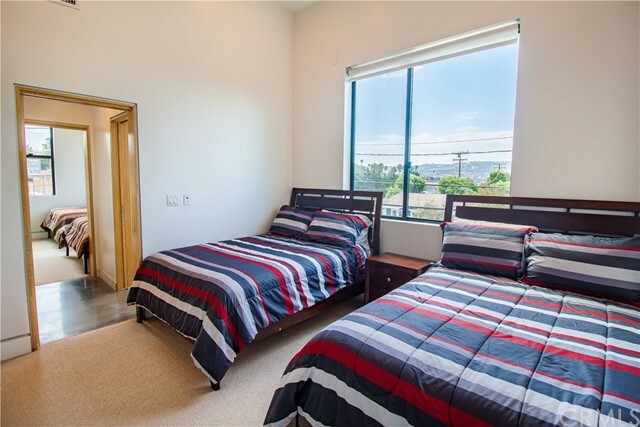 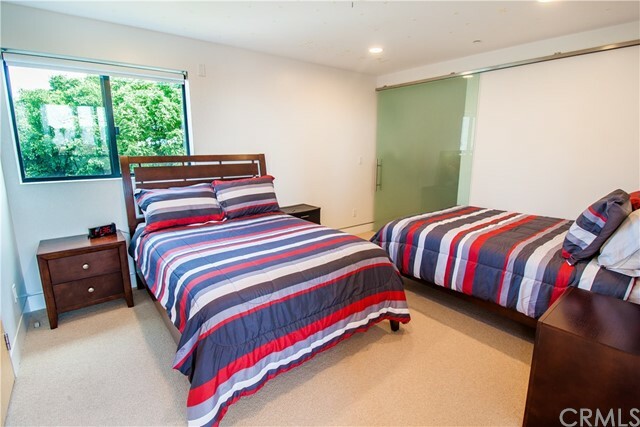 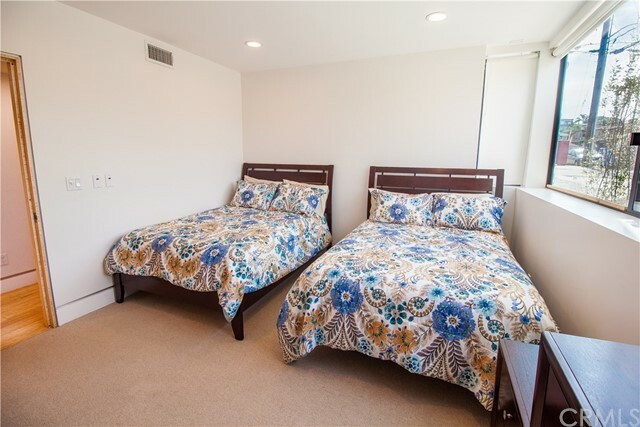 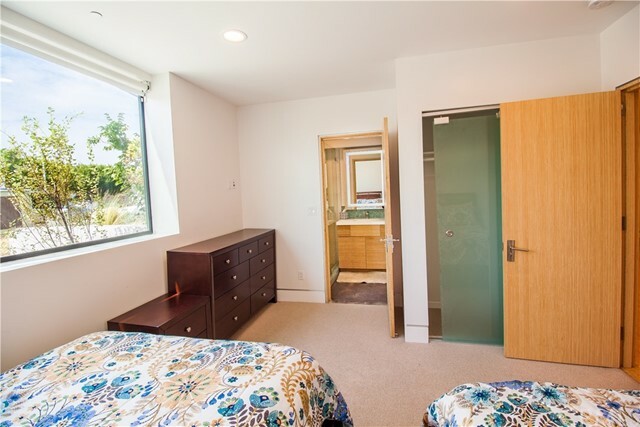 Most of the 6 bedrooms are located on the third floor, including the master bedroom which includes sophisticated wall sized windows and a private balcony with ocean views! 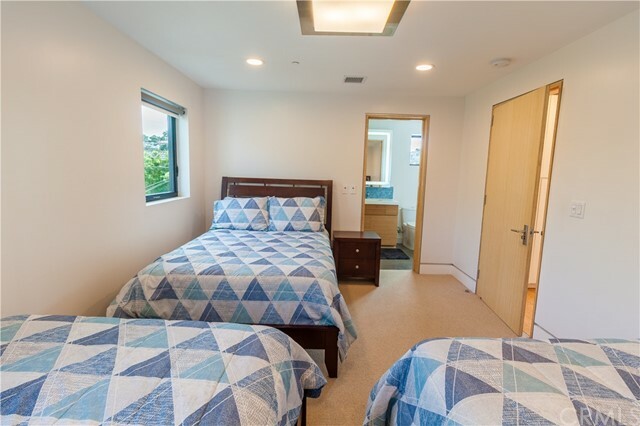 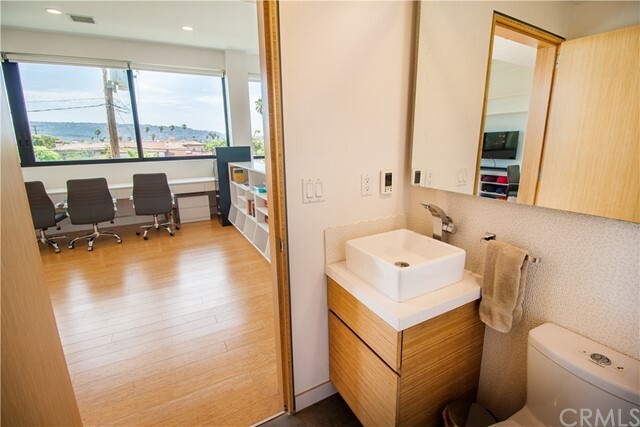 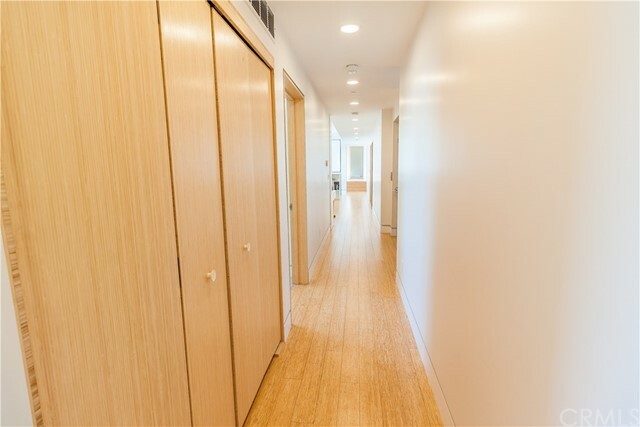 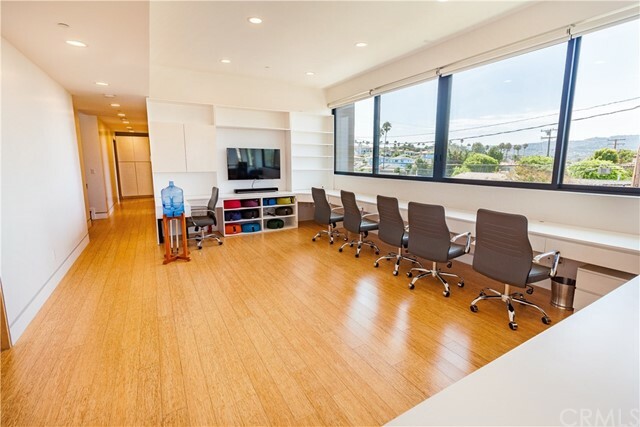 There is a large open space connecting the bedrooms that is set up as an office. 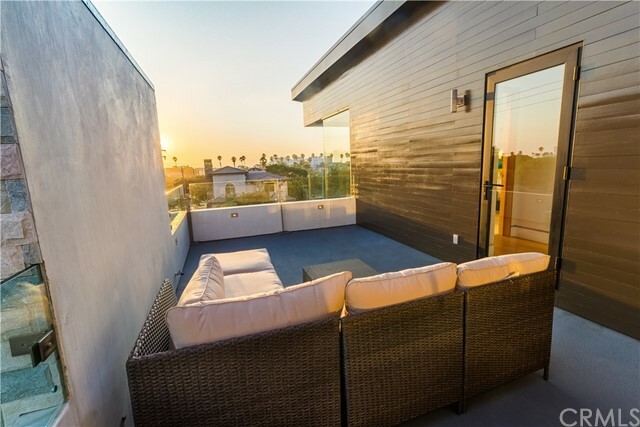 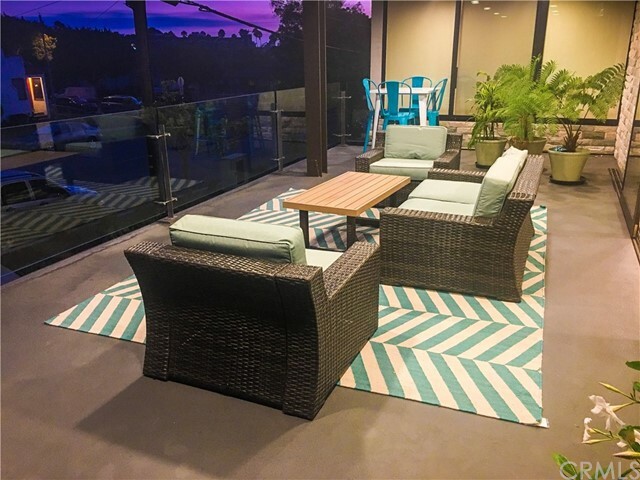 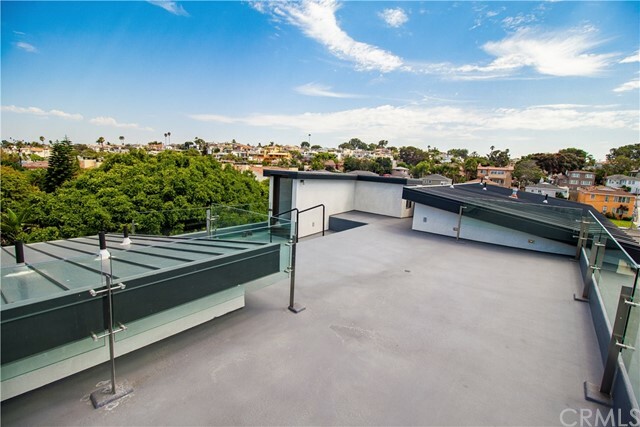 Maybe to relax step onto the 2nd floor deck overlooking the quiet neighborhood, and if that’s not enough, lounge on the roof top deck to enjoy a mesmerizing sunset view. 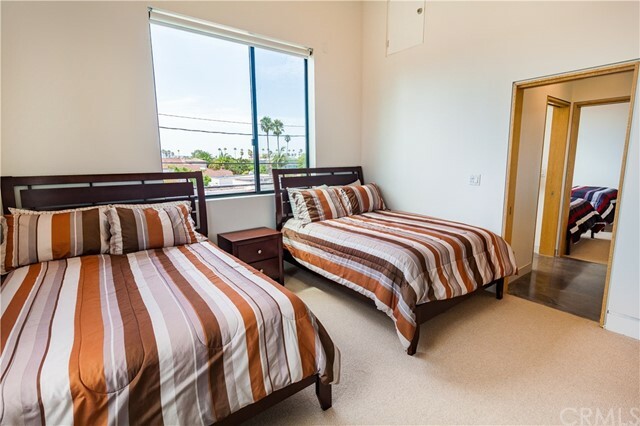 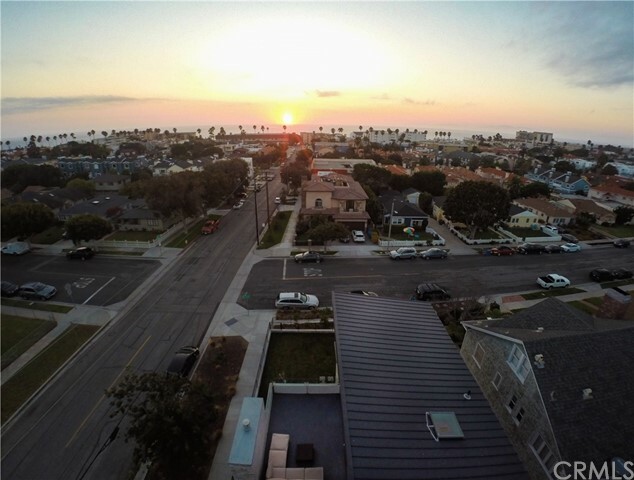 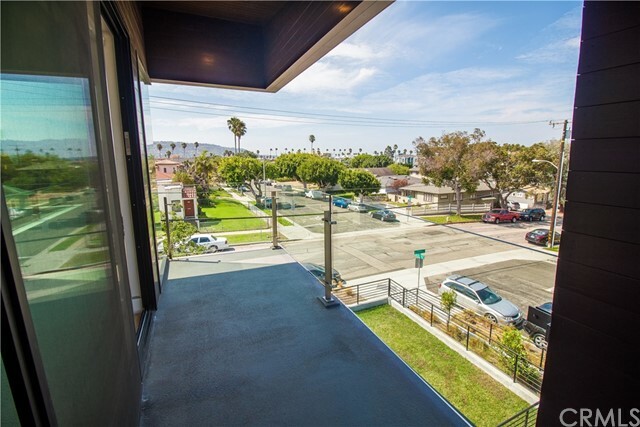 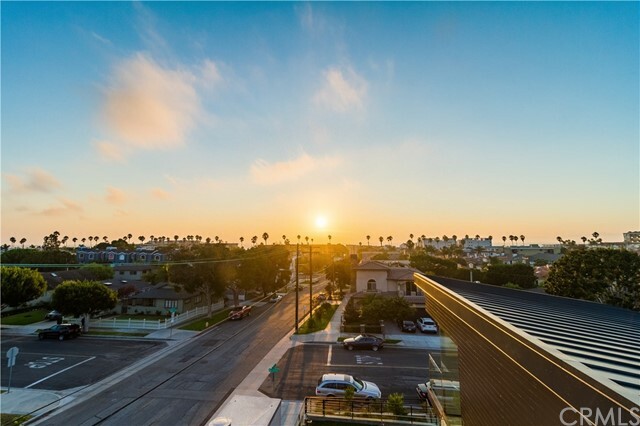 This quaint neighborhood is just a few minutes to the Redondo Beach Pier, and a walk to the beach. 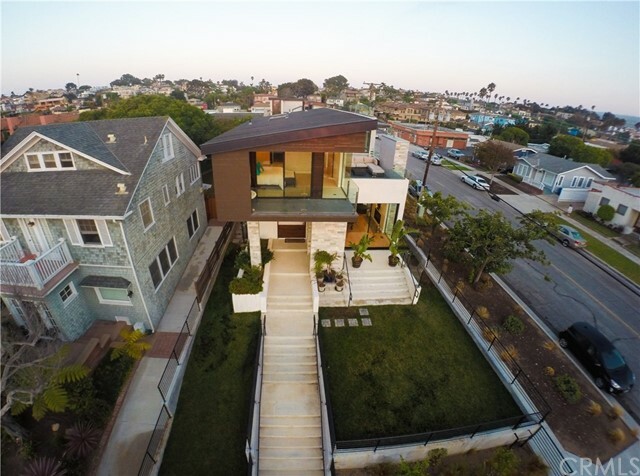 There’s no place like this home.